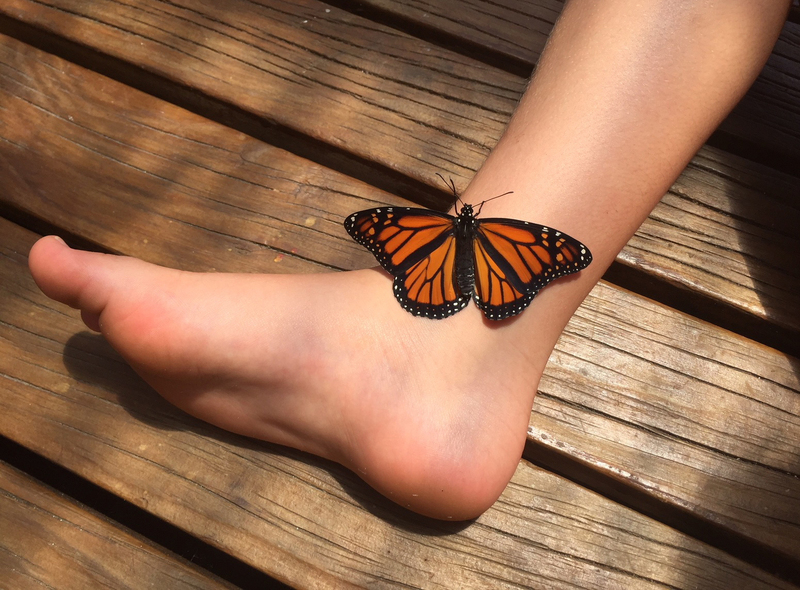 It's all about butterflies and ducklings at our place lately. Our very own slice of paradise. 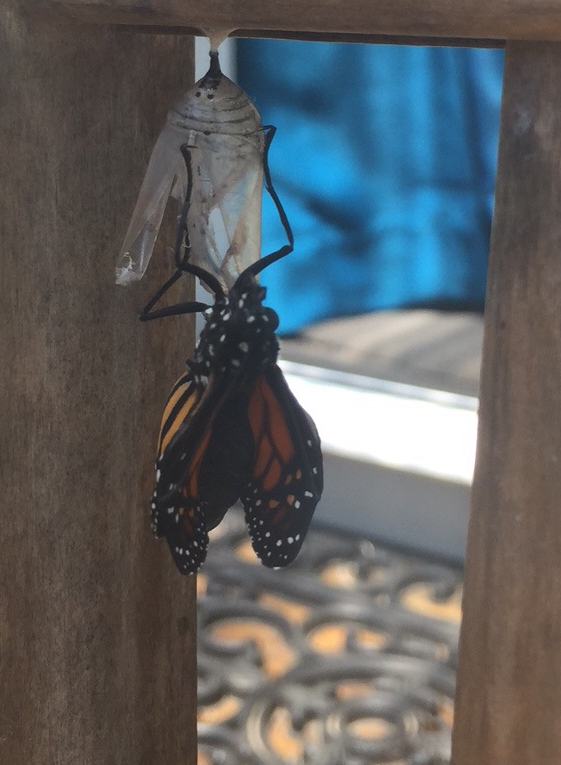 We're desperately trying to catch sight of a butterfly hatching out of its chrysalis, but keep missing it. 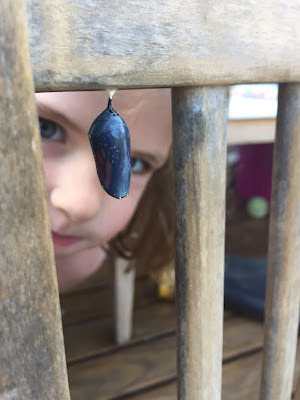 One minute the chrysalis is a dark black sack, the next time we look there's a lovely butterfly hanging beneath it. The hatching must happen very quickly. Since the kids are fascinated by the butterflies, I've ordered a stack of books about Monarchs from the library and the kids have started making lapbooks about Monarchs. Lapbooks are a new concept to me, something I'm trying out for L's homeschooling this year. I like that she can get super creative with them. 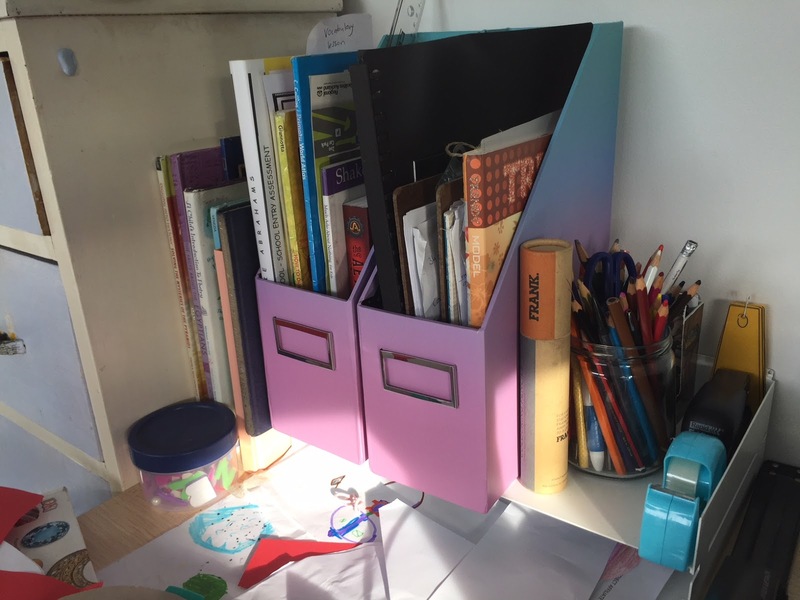 Basically you just fold a manilla folder into a trifold and then fill it with as many pockets, pop-ups, pictures, maps and spinning things as you want to make an interesting display of information about a particular topic. So far the kids have only worked on their lapbook shells and started thinking about what they want to put inside them. I'm not really sure how we'll tackle the topic, since I've never done this before, but I guess we'll read the library books, ask some questions and take it from there. 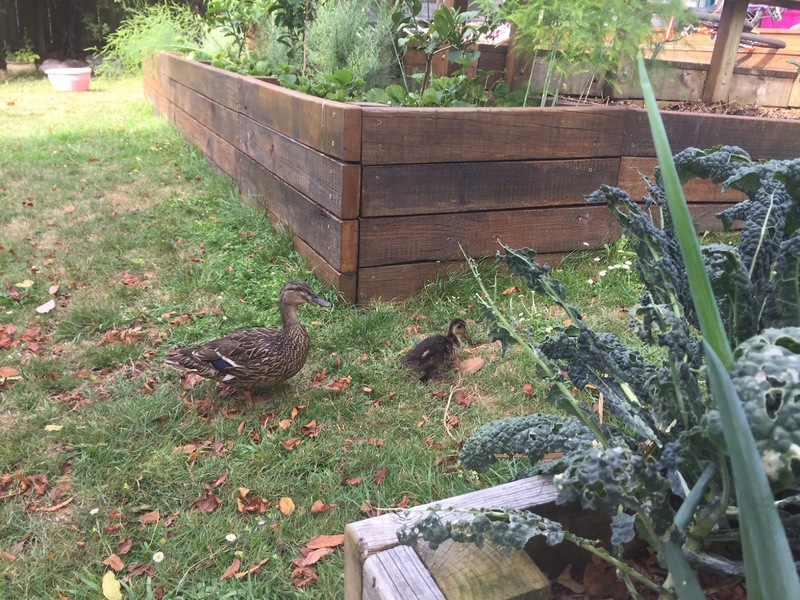 Ducklings are the other exciting feature of our garden at the moment. About three different duck mums and their babies rotate through our yard over the course of the day, drinking the water we put out for them in ice cream containers. It's super cute when the ducklings jump into the water and have a little swim. I've been fascinated to see what they eat - lots of weed seeds and bugs, which make them incredibly welcome in my yard. They take the stuff I don't want and turn it into garden fertiliser, all while looking super cute. Good trade. The kids have also enjoyed figuring out which kitchen scraps the ducks like and are always keen to feed them. S dug up worms from the garden today for a mama duck and her baby and was delighted when they accepted them. We are hanging around home for most of January, so the kids and I have taken a couple of trips to the local school pool for a swim in the hot afternoons. We've also been having sleepovers with cousins, which is equal parts fun and exhausting. 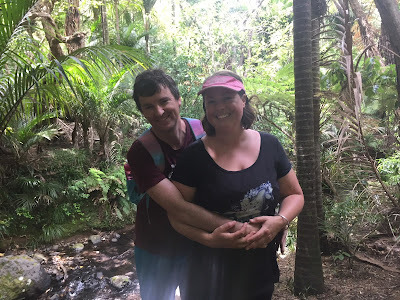 We did a walk to Kitekite Falls on New Years day with friends, which was so beautiful, but will probably be our last walk in the Waitakere Ranges for many years/ever. That's because on our drive back from the walk, I noticed a sign saying that a rahui has been called by the local iwi, asking people to stay out of the Waitakere Ranges. This is to give kauri trees a chance to fight the kauri dieback disease that's killing them, and which is spread by soil movement, particularly from walking tracks. It's so incredibly sad to me that my children won't get to experience all the beautiful walks and scenery the Waitakere Ranges have to offer, but I hope that the rahui will help the kauri trees regenerate for my grandchildren and great-grandchildren. I also think it would be amazing if the council built proper boardwalk type tracks, so people didn't have to walk on the soil at all. That could help keep the Waitakere Ranges open to people and still prevent disease spread. While our kids were happily playing at their cousins' on the weekend, Paul and I went to Dressmart and bought Paul a couple of pairs of Levis at the outlet store there for his new job. Everything in the store was 50% off, so Paul got a great price for the jeans. We also went to the Bonds shop and got Paul socks and got me a couple of singlets that I love and wear all the time. While we were at Dressmart, we also popped into Typo, where I found these gorgeous file folders that I knew L would drool over since they fade from aqua to blue to purple to pink. I've set them up in my new office space to give us better book storage for her homeschooling. Paul started his new job this week and is loving it. Hurray! However, on his first day he found out he gets paid monthly and his first payment isn't until February so we probably shouldn't have gone to Dressmart after all. Whoops. We will have to be extra, extra frugal this month to ensure we keep paying all our non-negotiable bills. Paul is also doing a side job that will at least pay the mortgage each week, so don't worry, we're not about to be thrown out of our home. To help keep costs down this month, I've been avoiding the supermarket and seeing how long we can last on what food we already have. Today, however, I pulled our last roll of toilet paper out of the cupboard, which means I'll need to go for a small shop tomorrow. My lovely sister-in-law, Mandy, surprised me with groceries today. We had her four kids here last night so she and her husband could celebrate their wedding anniversary. When Mandy came to pick up her kids today, she brought lunch for us all, plus extra goodies for my kitchen - a block of mild cheese, a block of mozzarella, a block of butter, a packet of bacon, pomegranates, cucumbers, tomatoes and lettuce. It was so kind and so generous. This same sister-in-law is also working towards going zero-waste and doing a much better job of it than I am. 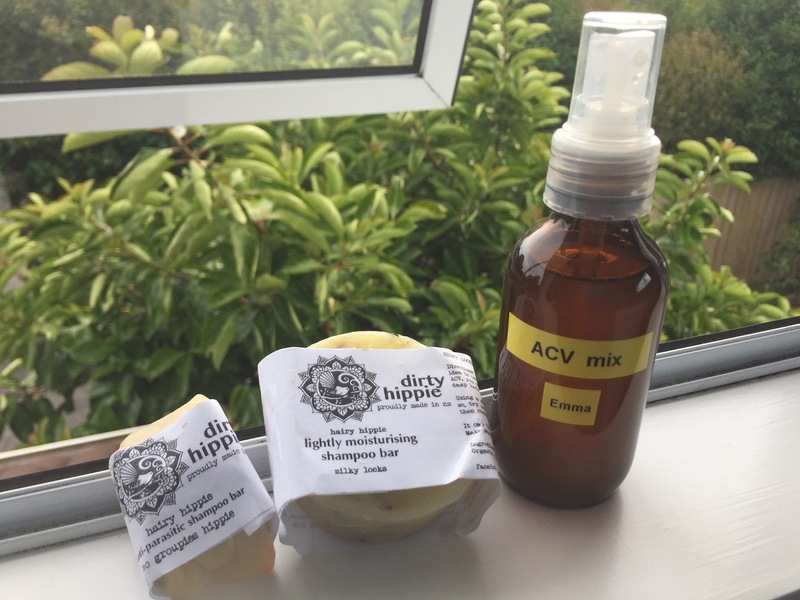 For Christmas she gave all the sisters-in-law a Dirty Hippie shampoo bar and a glass spray-bottle filled with apple cider vinegar to use as a conditioner with it. I used them both for the first time this week and really loved them. 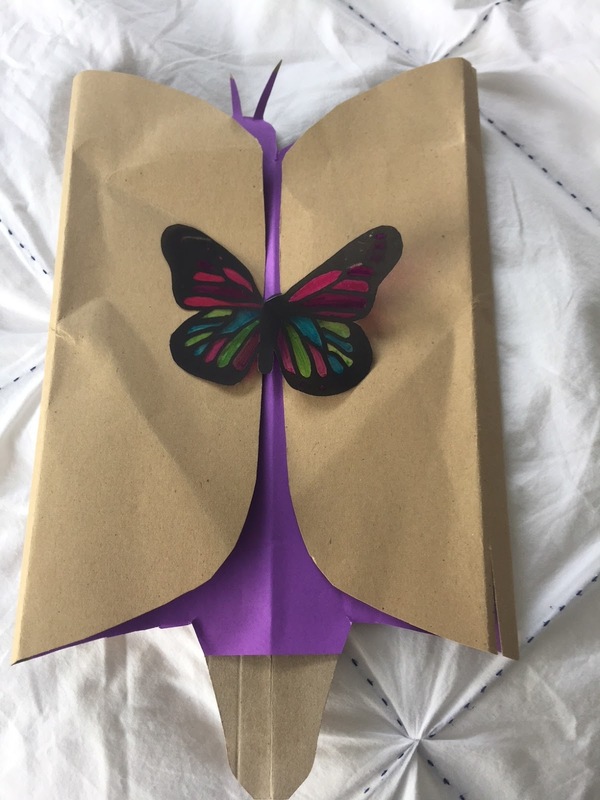 Mandy also made us all beeswax wraps (to use instead of clingwrap) and has ordered me stainless steel reusable drinking straws. Such a blessing. The new office space in my bedroom has been getting a lot of action these holidays. It has become the go-to crafting table and there always seems to be somebody creating something in here. I was lucky just to get a seat at the desk to write this post for you guys. Paul and I spent a couple of days organising his office downstairs last week. I donated quite a few things to the op shop and we took several containers of things up to the attic, where we have put them in easily accessible places so we can get them whenever we need to. There's so much space up there and the attic stairs make it super easy to get up and down, so it seems silly not to use that space to its fullest. 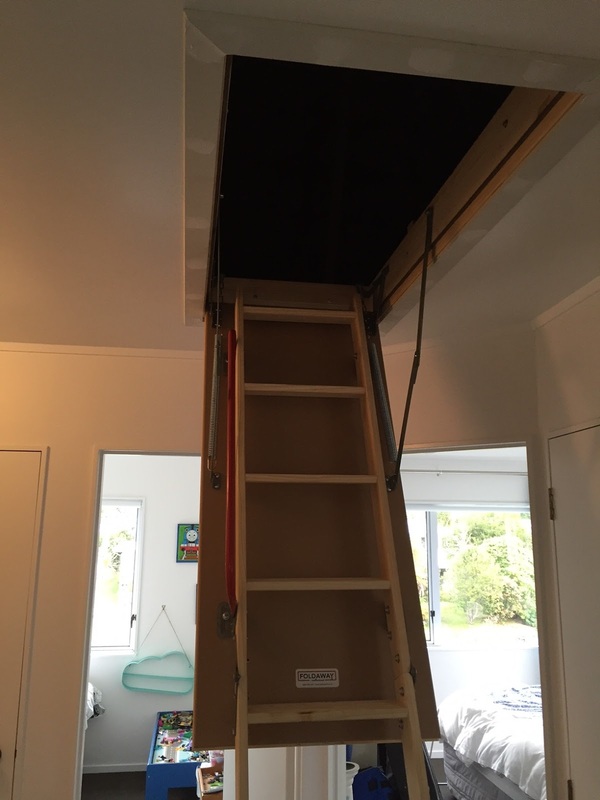 I'm keen to get attic lights installed, along with a whole lot more power points around the house, so I've added that to my ever growing list of house improvements I'd like us to save for in the next year or two. At least the sorted office downstairs makes that room feel so much more inviting and functional. I like it when you can improve a space through labour, rather than buying stuff. A tidy, organised room will always feel welcoming, in my opinion. Today I mowed the lawns before the day got too hot. I also collected water from my washing machine and watered all my gardens with it. For dinner tonight we are having chicken barley soup, using leftover chicken from today's lunch (which Mandy provided). It's still simmering away downstairs and I see it's gone 7.30pm, so I should really dish that up. These long days keep tricking me into thinking it's earlier than it is. Chicken barley soup is one of my go-to frugal meals. Sometimes I make it without chicken - just throw into a pot chopped veges, barley and pre-made chicken stock and simmer for ages. I think that's all my frugal news for now. This has been more of a general life update than frugal fun, but hey, that's kind of how I roll. I have been thinking about the difference between being frugal and being stingy lately. I don't want to be stingy, but can see how it would be an easy trap to fall into. What are your thoughts on stinginess versus frugality?